Vintage Leaf Memories - Michael Langlois: The Maple Leafs and the thousand-piece puzzle…. The Maple Leafs and the thousand-piece puzzle…. 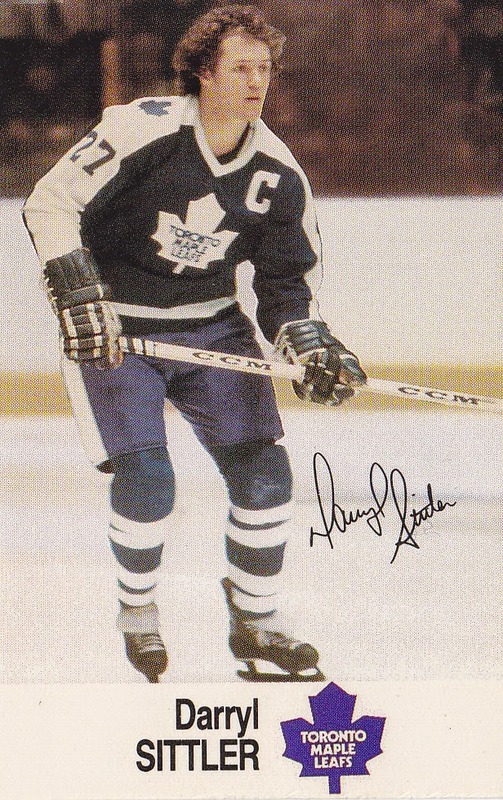 I’ve decided that, since the Leafs cannot win anything of value this season (not a new revelation, I realize), and likely not for the next year or two, I will adopt the same philosophy that I did as a much younger Leaf fan at the end of the woeful 1972-’73 season. Some of you may recall (most won’t) that, in the early ‘70s, the Leafs under General Manager Jim Gregory had build an exciting club, mixing speed and youth with veteran experience and grit. Some of the names from that roster are pretty famous: Jacques Plante, Bernie Parent, Dave Keon, Normie Ullman, Ron Ellis and Paul Henderson along with an aging but resurgent Bobby Baun in his second stint with the blue and white. There were also the “kids”—future superstar Darryl Sittler, hard-working Brian Spencer, rugged Jim Harrison, tough winger Billy Macmillan and speedy Garry Monahan along all with those promising young defensemen: Jim Dorey, Rick Ley, Brad Selwood, Jim McKenny, Mike Pelyk and Brian Glennie. Baun suffered a severe neck injury and his career ended abruptly. Where once we had great goaltending for the future, we had almost none. The kiddie corps defense was in shambles and had no leadership with Baun gone. All this to say: this is where I’m at with the Leafs right now. We looked promising a couple of years ago—youth, speed and a bit of toughness and grit. The combination of speed and being hard to play against made me think better days were ahead. Suddenly, however, we kept slipping backwards, unable to win consistently enough. So Nonis and Shanahan are embarking on another major makeover, which naturally reminds me of that early ‘70s revival. Re-making something can be fun. Some Leafers are hoping for a draft lottery win, but regardless, the trades of the past week or so (Franson, Winnik and Clarkson) remind us that the Leaf brass is still awake, that the wheels are in motion. There just may be, as some of you have suggested, a plan. It’s a bit like a fresh new, thousand piece puzzle. Some parts of the “build” will be easier than others. But it’s a project. It won’t all get done in a day. In the case of the Maple Leafs, it will be about a lot of different things that make the puzzle fit together. The world (including the hockey world) is vastly different than what I referenced earlier with regard to the early 1970s. Back then there were far fewer teams, no cap, no real free agency (except for being able to grab Europeans like Salming before someone else scouted them). It’s a different game now, and things are much more complicated when it comes to building a roster. It will require not only shrewd drafting, but much better actual player development. Wise trading will have to be part of it, as well as avoiding free agency flights of fancy and a better understanding of the do’s and dont’s of the cap world. And yes, a reliance on analytics as well. But at the end of the day, it’s still about building a team, meshing the right pieces so they fit and work together. It’s about players who will follow a plan, “buy in”, and, as best million dollar athletes can nowadays, set their personal agendas at least slightly to the side while working for the team. We need stars and pluggers, role players and replaceable parts. We need goaltending for sure, though we may have that, I don’t really know. (There’s goaltending and then there is championship goaltending…) We need a much, much better defense. (I thought Holzer looked pretty darn good against Montreal on Saturday night...) Forwards that can play in their own zone. And we will need better leadership across the board, along with some kind of an identity. And there’s that over-used word: culture. Whatever it means, as long a new culture leads to establishing a sense that every guy on the team plays with passion, understands the Leaf legacy and has pride in the jersey, that would be good with me. So for today, I’ll think positive thoughts. It will take a while. We might as well sit back and enjoy the process. It's like one of those thousand-piece puzzles that you buy at a garage sale, Michael, where you full well know that you'll spend hours assembling it, only to find a whole handful of pieces missing. At my present age of 48, I remember more of the Leaf team from 1974 and on, which was also a team with some promise, through the Red Kelly and Roger Neilson coaching years. Being around 10 years old at the time, I don't recall much about grit (other than my Dad screaming at the television, then heading outside to smoke and pace the driveway), but I do remember it was a time of a handful of NHL records being set by Leaf players. Incredulously, the 80's Oilers never wiped out Sittler's 10-point game, or Turnbull's 5-goal game for a defenceman, despite the goals per game Edmonton consistently put up for years. I'll take those records as a small feather in the cap, and include 3 Cup runs (Nielson, Burns and Quinn) I cherish in my lifetime of watching the Leafs. Not much of a scrapbook of great moments for 40 years of following the team closely, but it is what it is. The expression "needing a new culture" certainly gets tossed back and forth by media and fans alike, with no consistent definition attached to it. My idea of culture/grit has morphed over the years, as I used to think it was purely the desire to drop the mitts, lay down in front of pucks, or take a hit. I see it more now as a mental toughness, that creates a work ethic that will stop a potential 10 game losing streak at the 3-4 game point. Sometimes that mental toughness will show up via fights and shot blocking, but it can also be something as simple as the entire team consistently racing to the bench for line changes, fighting for any little edge that's available. Play for the Leaf crest on the jersey, and for each other..... not for yourself. This present team has proven over the past 4 years to be very weak willed in the face of adversity, looking sluggish and nervous as losses pile up on one another. I blame the core for that lack of character, as they've been the consistent part of the roster, and I've actually admired a lot of lower tier players (some recently departed) that came in here and tried to establish a better 'culture'. Yep..this.. You win the interwebs today Russ! Well, to paraphrase an old joke, when we wonder how we're supposed to approach another 5 year rebuild, I guess we fans have no choice but to close our eyes and think of the Cup. This version of the team - and by that I mean owners, management, coaching staff and players - has gone so far off the rails that I think it surpasses the woeful early 70's teams, which used to be my low water mark. The alluring thing about sports is that year-to-year you never really know what's going to happen. A trade here, a tweak there, and an also-ran can become a contender. So there's always hope! But man, it's tough to see that light at the end of the tunnel with this iteration of the team. I've lost the capability of being positive, for this season, at least. I don't watch games, or even highlights. I might watch a few minutes here and there but, like Peter Finch in "Network", I just can't take it any more! However, I have stopped my various exclamations at all the blown coverages, soft goals, missed passes, lack of grit, etc that we see game in, game out. They weren't suitable for small children, and they scared the dog. So, perhaps like you, Michael, I've sunk into a dull acceptance that we're in for a disappointing final few weeks. I'm not one of those who thinks we should join the McDavid sweepstakes. If a #1 pick was all it took, Edmonton would've won the Cup by now. It takes so much more, as the Kings and Blackhawks have demonstrated, and that's where the landscape looks particularly bleak to me in Leafland. But as you say, it will take a while. Even Kyle Dubas has stated that it will be a long, slow process. And that's just as well, because after the last few years, it will be an equally long time until I let my hopes get up for the Leafs. Can't argue with any of that, Gerund O'. You've captured it well, as always! Culture is difficult to define, for sure, Russ. As you well note, so many little but important things go into establishing a winning culture. (As an aside, I smiled at your reference to your Dad. Most of us are fortunate to have memories of watching games with our Dad (or Mom). Everyone's recollections are a little different, but always present. I well recall the Sittler game (I was at the Gardens that night, though I'm sure everyone says that) and Turnbull's 5 goal game against the Red Wings. We were close one year under Neilson, but not close enough! I well-remember those 70's Leafs, mostly for the high points that derived from the 3 firsts you mentioned along with Sittler and the unexpected Swedes! But before the 'rebuild' successes they brought about, were the losses to the Ballard-presumed upstart WHA. Losing Parent was a harsh pill to swallow, especially when he came back to haunt us in those series against Philadelphia and brought the cup to a team that positioned themselves better than we did. Perhaps we can hope we are beginning to prepare for the future better than past iterations of the team, yet we will now have to await later dealings with the core, although I suspect there may be a few hints to consider following the season. I thought that the Ducks were real candidates to take on Phaneuf but I remember that they're still a budget team, so the cap space wasn't everything that went into the mix. Taking on Brewer sure freed up some space for them to fill their tanks with some depth... perhaps they will revisit the idea of Phaneuf after we've paid his 2M signing bonus for next year. Fleishmann and Souray are UFAs - so that's 8M available right there. Would Kessel be of interest to them or Nashville for the same reason... taking care of his 4M signing bonus could make trades more palatable (without retaining salary). I would be sure to look to sign players like Winnik and Santo (even at higher 1 year cap hits) and be sure to preserve the ability to retain salary in order to help teams at the deadline who are close to the cap and may offer more returns if we can retain salary (like we did with Winnik). It would appear that we are now in for some unfulfilling waiting... my short term interest now lies with the Marlies (and watching to see how others, like Morgan, continue to develop under adversity). We definitely need goaltending - Bernier and Reimer both let in a softies against the Habs and Caps last weekend. I thought Bernier was the answer and he looked good last season but this year it is one bad goal after another the exact same way Reimer looked good for a season and then forgot how to play goal. I think we need a few elite players or at least a true #1 center to pair up with Kessel, just imagine JVR, McDavid and Kessel on a line. Some players with skill and grit would help as well along with an actual championship goalie. Well I was listening to the Andy Frost post game show on Sat. and one fella said he had been following the Leafs since 1962 (almost as long as me) and he said watching the Leafs was like watching that movie Ground Hog Day for almost fifty years. Despite how painful those fifty years have been I couldn't help but laugh. I still don't believe the Leafs are really as bad as their record. Sat. against the Habs they did have chances but somehow missed on all of them. And how did Panik miss that wide open net from two feet out? While it looked like they were trying they also did not have the intensity you need to win so the fact is the team has given up and they probably don't even realize it but they just are in no mental state to really compete. I guess given the current state of affairs maybe that is to be expected and the reality is losing now will give them a better draft pick. I hate the Habs but if losing to them means a better pick and better team that can actually win a Cup a few years from now then the current collapse and rebuild will be worth it. I am happy that they really are finally in full rebuild mode which is really the one thing they have never attempted. I have liked all of the deals so far. I thought the Leafs were stuck with Clarkson cap hit for five years and it is pretty nice to see that mistake rectified. Getting a 6th round pick for Jokinen and a 5th for Holzer may not give them give the Leafs a player but you never know they could get lucky. Meanwhile a high 1st round pick this year, Nylander and some players like Leivo, Brown and maybe even that Leipsic kid could be good. I don't think this rebuild will take five years given the prospects in the system but even if it does I won't mind if it is done right. In hindsight the Brian Burke quick rebuild was clearly a total failure and if he had not made so many mistakes the Leafs would be a contender today. It could be exciting to watch an actual successful rebuild and the draft this year and the deals over the summer will keep it interesting. I hope they get it right which should be possible if they make sensible moves. Tanking makes sense and by tanking I mean management trading off assets for future picks that are not in the long term plans. In 2009 Burke picks up Berger late in the season even though the Leafs were not in a playoff race which meant they picked 7th instead of probably 4th or lower. I just don't see the logic in a lot of Burkes moves when the kept saying the goal is to make the team a legitimate contender. Burke should have played the game the way the other teams do and I think Shanny is finally following suit.